Benjamin Kanagwa is an Executive and a Research at the School of Computing and Informatics Technology of Makerere University, Uganda. He mainly conducts research in software engineering and computer programming. He is founder of Decimalworks, a software development company that specialises in mobile and web applications. 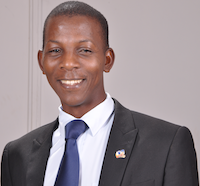 Previously, he worked with MTN Uganda, as a senior software analyst – software development. He holds PhD form Radboud University Nijmegen and worked on a thesis titled-“Design, Construction and Discovery of Service Oriented Systems”. He worked under the supervision Prof Theo van der Weide. In this post, i will focus on how to generate alternative solutions.The first solution you are arrive at may not be best of all possible options. It is important that we generate as many alternatives as possible. This will allow us to choose the most effective solution to the problem. To generate alternative solutions, you can look at the problem in different ways. You are argued to find a new perspective that you have not yet thought about. One technique is to quickly list different solutions including those that do not look viable and then try to eliminate one by one and see where they fail. Try combinations of different parts of solutions. You can also engage stakeholders. Usually stakeholders see problems from completely different perspectives. If you are a developer, involve users, involve sales people and other stakeholders. In most developing countries the software development discipline is emerging. Several private and government entities are in the process of automating different business activities. Just like the software discipline itself, the information technology professional are still gaining expertise in specification and verification of software solutions.Where the clients know what they want, they are not in position to explain it to the developers. And equally less experienced developers find it a challenge to understand the needs of the client. To overcome this problem, some entities hire a consultant to help manage and supervise the implementation process. That is, there are two different consulting firms involved in the project – one to do the actual implementation and the other to supervise the implementation. They all work for the client, but the supervising firm ensures quality is delivered. This approach of a supervisor and the contractor is well tested in civil engineering works. Where you will find, the main contractor, the supervisor as independent contractors. For this work, the discipline has to be mature such that the approaches and documentation are well understood by the different parties in the project. In some projects, this has improved the quality of the project because each contractor has a specific responsibility. I have seen this approach work in software development with amazing results. Usually the supervising contractor requires domain knowledge to ensure that the engineering product serves the desired purpose. 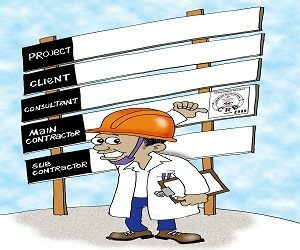 The presence of supervising contractor implies the need for proper specification, documentation and reports because these are part of the main inputs for the supervising contractor. The mandatory need for these documents guarantees a level of a streamlined the software development process. During the week of 27 June – 29 June 2016 i attended the Summer School on Machine Learning and Data Science at the school at Makereree University dubbed “Data Science Africa 2016”. I happen to sit with a colleague who is an experienced and certified Java Programmer. As we paced through the examples on data cleaning using anaconda package, we relied both on new new knowledge and also tried to apply what we have learnt over past years in our professional programming experience. And apply it to the result after q1. But then our instincts dictated that we could achieve the same result by using Dataset[q1 or q2] – that is return columns where gender is not empty or testCondition is not empty. However the compiler severely rejected this. For sure we have learn’t and know that logical operation on two Boolean expression should yield another another Boolean. Then our unlearning process hard to begin! We checked the syntax, double-checked the indenting, double checked the expression one by one. Meanwhile we found ourselves a couple of tasks behind the rest of the class. Reason – we could not easily unlearn what we have learnt and believed to be correct overtime. For a while we kept on trying related syntactical expressions from Java, C, C# and standard Python that were not successful. It quickly became obvious that because we were so convinced about the common usage of logical expression, it took us a lot of time to adjust and enjoy the syntax of the new data science platform. Learning the new syntax was much faster as opposed to the time we spent trying to ‘unlearn’ from the past language. Indeed I have had comments from programmers as they attempt to cross from one language to another. Any body who has done programming in this languages understands the importance of terminating statements with semi-colon (;) and strict naming of variables. One programmer could not come to terms with the fact that variable names of the form is_avaialable? Are perfectly acceptable in Ruby. will create a an infinite loop. Have you had a challenge unlearning something? Google knows more about you than what you might want them to know, only VPN can save You. As tried to keep connected to the social media platforms in light of the Ugandan government shutdown possibly based on basic filters, I also accessed google search engine through the same approach. Interestingly after returning the search results, google was so confused because it kept asking me to refill the CAPTCHA (an acronym for “Completely Automated Public Turing test to tell Computers and Humans Apart”). Indeed google failed miserably to tell that I was a human being so they refused to load any link to the search results. Then I tried gmail to access the emails, they also presented the CAPTCHA. Still google was not very sure, so they asked me to unlock my Techno F6 Phone! And I did before I could access the mail. So how did they know that I own a Techno F6 Smart phone? How did they confirm that I had unlocked it? And how much else do they know? As an IT professional and expert at that, I am aware of some of the answers. I access gmail through my Techno Phone, so google took the liberty to keep all this information. Each time, I unlock the phone, google get to know, because the gmail application contacts them. I don’t want to suspect that because Techno F6 is an android phone and google are the developers of android, then google might have extra tricks built in the android operating system it self. In the past five years, I have come to think that it is valuable for the general public to know the distinction between a good computer system and a bad one, especially that the consequences affect even the innocent. Perhaps you have been to the bank and a teller casually announces that you can not withdraw or deposit money because the system is ‘down’, or you can not access your academic transcript because the system is ‘unavailable’. Maybe you have ever missed salary because of the computer system! Failure to withdraw your money may mean the landlord evicts you from the house or your son misses school. Failure to get the transcript may mean a missed life-time opportunity. A comparison between the engineering of computer systems and civil engineering is informative. Unlike civil works, where the effects of a rudimentary engineering or lack of it are there to see through collapsing buildings, eroded fences and roadworks that are often fatal and lead to deaths, the effects of a rudimentary computer system are not readily visible. Mechanical engineers can get away with approximations for unknown or incalculable effects, substandard materials, and other surprises by building in safety margins. However, in software systems a single bit error can have disastrous consequences. Despite the the invisible nature of immeidate impacts of ill designed computer systems, the consequences go beyond what most can predict and can be as fatal as a collapsing building with occupants. Unlike civil works that may be faced with fake construction materials (such as cemment in Uganda), the key players in the construction of software systems are the programmers and those that buy the software. So the quality of the software is enitely in the hands of programmers. Interestingly, computer scientists mastered in advance, the art of hiding their incompetencies. They use fancy terms such as bugs to describe what ordinary means a malfunction. That is, a system that can not correctly do what it was intended to do. They do not even want to take responsibility of their own actions. Most software systems provide no guarantee or warrant for even the very mission the system is supposed to achieve. The public has also accepted this situation and with not regret, it is not is common to hear with a smile that the computer system is not working, or the computer system is unavailable. Such lame explanations that have made system failure synonymous with the computing discipline are hurting. Such systems should not be casually accepted and need to be questioned for evidence of rigorous software engineering in the design and construction. Like any tool, a good software system is supposed to be reliable, that is safe to use by virtue of the fact that, when used, it acts as intended, or, more precisely, it reacts upon our inputs as intended. Even before subjecting a software system to a rigorous check for suitability of purpose, some indicator of incomplete and poor workmanship are usually there for even the computer illiterate to see. The first systems to be dismissed with contempt are those that fail due to any user inputs or limit existing good manual practices. That is, start by entering any data and good system should continue to behave normally. Bad systems will fail. Such systems are a clear manifestation of inept software engineering where the system is erected prematurely. Executives, procurement officers should be aware that any programmer of some intelligence can cook up a computer system, the properties of which are utterly unattractive and unrelated to anything else. They need to be aware that the construction of computer systems is not a chaotic process with out systematic means to evaluate and sort them. The executive managers with no formal training in software engineering approve these systems on the basis of their computer literacy normally in typing skills and email forwarding. Simple clicks and intelligent animations are usually enough to append their signatures on products that are an art of ingenious and intelligent computer quarks. The most important aspect of a software-based system lie in the modeling and analysis of its interactions with external factors and overall mission assurance. Before purchasing or accepting to use a software system, it must be checked for for system-level information assurance issues. It must be checked for Possible fail-stop mechanisms and procedures, fallback, contingency solutions for both direct and secondary effects of failure modes. And Usage scenarios are frequently not a priori limited.